After Peter and Marilyn Adamo's pharmacy was robbed, they took extra steps to secure themselves and their business. The Windsor Police have also helped, as part of a regional plan to help prevent pharmacy crime in Windsor and Essex County. Pharmacist Marilyn Adamo was getting ready to give a flu shot to her last customer of the night when something very traumatic happened. Her assistant and the inoculation patient were the only two other people in the store that October evening when it was robbed. "She saw them coming in, and luckily at my desk right where I was sitting I had a panic button," said Marilyn. "I wasn't afraid when it happened. It was more after where I felt like 'oh my God look what happened?' It was scary. We feel a lot safer now." Two men with their faces concealed entered the Lifestyle Pharmacy that Marilyn co-owns with her husband Peter on Dougall Avenue. One of the robbers forced her to the pharmaceuticals. "He pushed me to make me move, I think because I was in shock and I wasn't moving," said Marilyn. Hear more about the pharmacy robbery here. They demanded prescription drugs from Marilyn and her assistant, and took off in a stolen car. The next day, the Adamos closed the shop's front entrance and let customers into the pharmacy only by manually unlocking the door until a security camera was installed outside. 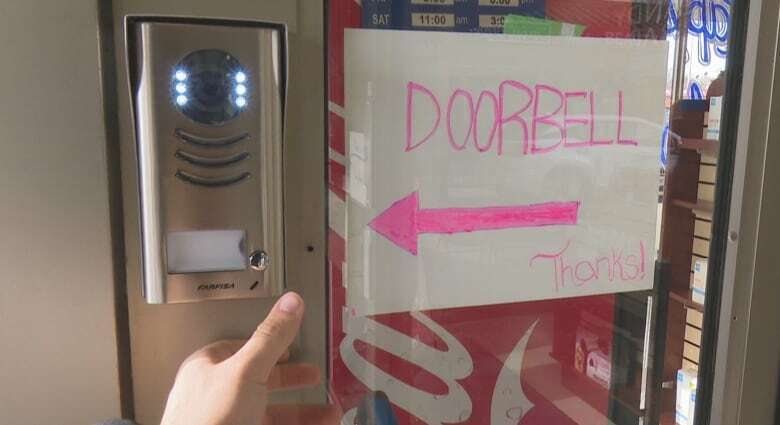 To this day the door remains locked, but now they buzz customers into their business with a remote switch. They also put a protective film on the windows to prevent them from being smashed. The Adamos' pharmacy isn't the only one in the region that has added new security measures. 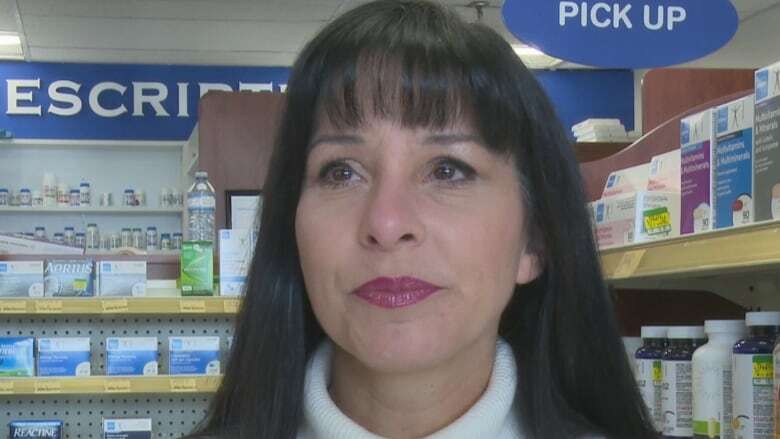 Windsor Police met with the community's pharmacy owners and employees back in April to see what could be done about the steady pace of robberies in Windsor and Essex County. "These crimes are unique," said Barry Horrobin, Director of Planning and Physical Resources for Windsor Police Service. He's been leading an initiative in the region looking at detailed ways pharmacies can protect themselves. In September and October, Horrobin explained that Windsor police sent out questionnaires to the 147 pharmacies located in Windsor and Essex County — 100 of which are in the city — to learn more about what those businesses might need and how the police could help. Officers have also been visiting the sites to offer practical advice and education. "We're looking at things like, 'is your pharmacy counter completely closed so that employees are safely positioned,'" said Horrobin, adding that his team is still tabulating the survey data and developing more concrete measures scheduled to roll out in January. "Many [pharmacies] are implementing changes right off the bat," said Horrobin. "They've been gradually, and in some cases very quickly, becoming a lot more aware and a lot more keen on what to look for and to be alert to signs of behavior before it elevates to a problem where it's very, very risky." This week an officer visited the Adamos' pharmacy as part of the police initiative. Peter explained that the couple had recently installed even better surveillance cameras at their business because there also have been burglaries during hours when the store was closed. Peter said he found the officer's advice helpful. "He did an audit and there are some things we're going to consider, possibly a timed safe," said Peter. "But other pharmacies would have to jump on board with that because patients don't want to sit around to wait." Horrobin's police outreach initiative will complete in January. "I'm excited to see hopefully how the results will come out and we can share this with other jurisdictions too," he said. "Because pharmacies are located in all communities throughout Ontario, and Canada for that matter, and they have similar problems that we have here in Windsor and Essex County."